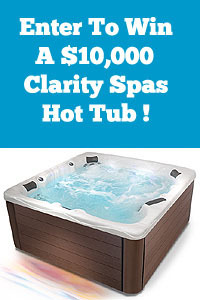 Enter to win this fabulous $10,000 Hot Tub Spa! It’s a whole new, freshly designed, line of hot tubs. One lucky winner will be selected on 12/31/19. 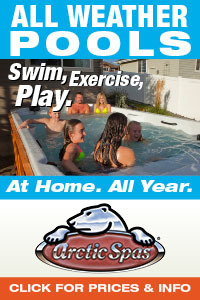 Win A Free $10,000 Healthy Living Hot Tub By Master Spas From PoolAndSpa.com! DO YOU… feel stressed, have sore muscular aches and pains, suffer from back problems, or have sport related injuries? Relief is just moments away when you own a hot tub spa. Relaxation is an essential key element of massage, which allows muscle tissue to move from a contracted position to an extended or relaxed state. When you think about good health and fitness, picture yourself laying back in a Hot Tub Spa. Hydrotherapy can help relieve the pain of arthritis and other tired muscle related injuries. Not only does the warm spa water melt away tension and strain from your body, but with combinations of powerful and gentle massage pulsating jets, help you relax your entire body. Deep tissue therapy and neuro-muscular release is the main focus of massage therapy while relaxing in a hot tub spa. If you have specific areas of pain and discomfort, release of “trigger points” and chronic muscle tension by pulsating warm water jets create long lasting change and better health. This type of therapy is especially useful in relieving neck, back and shoulder pain. Hot Tub Spas deliver the ultra therapeutic massage that awaits your every need. Relax, and enjoy the comfort in knowing that you own your personal hot tub spa. 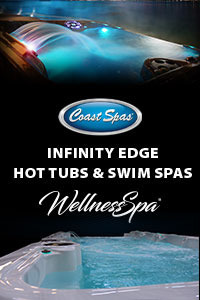 Enter The Healthy Living Hot Tub Contest Today! One winner will be selected by a random drawing on 12/31/19 and will be notified by phone, email and/or postal mail. Winner must be at least 18 years old and the delivery address for the hot tub spa must be within the contiguous 48 states of the USA. Only one entry per postal address (snail mail address) is allowed. Entering multiple times, using different email addresses but with the same postal mailing address, will not increase your chances of winning. So enter today and – who knows – you could be the next person to own one of these truly unique spas! You may be the lucky winner! *See below for complete contest rules and further information. This contest is brought to you by the great folks at Master Spas! 1- Entry. NO PURCHASE NECESSARY. To enter, complete and submit this official online entry form or mail name, address, email address, phone number and age to PoolAndSpa.com & Master Spas Hot Tub Spa Contest, 6724 East Bay Blvd., Navarre, FL 32566. Limit one entry per household, one winner per address. Entry constitutes acceptance of all rules. 2 – Eligibility. Contest open to U.S. residents 18 and older. Delivery must be to an address within the contiguous 48 states of the USA. VOID WHERE PROHIBITED OR RESTRICTED BY LAW. Only those entries received by 12/31/19 are eligible. Directors, officers, volunteers, employees and their relatives (by blood or marriage) of PoolAndSpa.com, Master Spas, their affiliates or their advertising and promotion agencies are not eligible. 3 – Prize and odds. A Healthy Living Model HL7 Portable Hot Tub Spa By Master Spas, with Cover, and curbside delivery – will be awarded to a winner selected in a random drawing from all eligible entries on 12/31/19. Winner will receive one (1) Healthy Living Model HL7 Portable Hot Tub Spa By Master Spas, with Cover, and curbside delivery to any contiguous USA address. Prize is non-transferable, assignable nor redeemable for cash. Prize must be claimed and delivered within 60 days or prize is void. Odds of winning depend on number of entries received. 4 – Notification. Prize winner will be notified by email, phone and/or postal mail at the addresses indicated on the entry form. Winner may be required to sign, notarize and return an Affidavit of Eligibility, Liability Release and (unless prohibited) Publicity Release within 5 days of notification or prize will be forfeited. 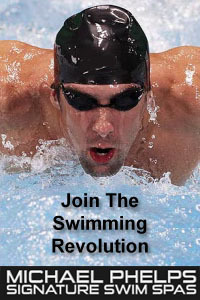 Winner must provide a photo of themselves to PoolAndSpa.com within 5 days of acceptance of this prize and agrees to allow PoolAndSpa.com and Master Spas to utilize the image in the photo and the winner’s name for promotional purposes. Master Spas and PoolAndSpa.com are not responsible for any late or misdirected award notices or responses. 5 – Additional Rules. For the name of the winner, available after 01/15/20, visit the PoolAndSpa.com web site after drawing, or send a stamped, self-addressed envelope to PoolAndSpa.com & Master Spas Contest, 6724 East Bay Blvd., Navarre, FL 32566. 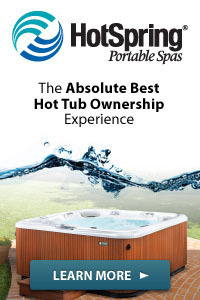 Hot Tub Spa is being provided by a promotional agreement between PoolAndSpa.com and Master Spas. By participating in this contest entrants agree to be bound by these rules and release and hold Master Spas and PoolAndSpa.com, their parents, affiliates and their directors, officers, employees and agents harmless from any and all liability or injuries, death, loss, or damage of any kind arising from or in connection with this sweepstakes or the prize won. Decisions of PoolAndSpa.com are final in all matters. Prize drawing will be moderated to ensure fairness.